Robert L. Jacobs, MD entered the United States Air Force after graduation from high school. He was trained by the Air Force in Primary and Advanced Russian Studies at Syracuse University and in Cryptoanalytical Studies at Goodfellow AFB, Texas. He served within the Air Force Intelligence Service, a branch of NSA, during the height of the "Cold War", monitoring the Russian ICBM missile ranges and space program. He was in the European theatre during the Cuban Missile Crisis and erection of the Berlin Wall. He left the military to attend the Medical College of Alabama, graduating in 1968. He served a rotating internship at Malcomb Grow USAF Medical Center in Washington, D.C., and a residency in internal medicine and a fellowship in allergy/immunology at Wilford Hall USAF Medical Center in San Antonio, Texas. He was assigned a staff positon in the Allergy/Immunology Department and moved up to become the Chairman and Training Program Director, Consultant to the Surgeon General in Internal Medicine and Allergy/Immunology, and Special Assistant to the Surgeon General concerning facilities and staffing associated with allergy services worldwide. During his tenure as Chairman and Director of the Training Program, he designed the physical plant within Wilford Hall Medical Center currently housing the Allergy/Immunology Department with the foresight to predict the growth of Immunology within the field and to be prepared with adequate training slots and facilities for the staff to be able to maintain an excellence that the Allergy/Immunology Department continues to achieve. During this period, Dr. Jacobs and staff designed and wrote the guidelines of the modern training programs for Allergy/Immunology which remains the criteria that training programs must meet. Clinical Research, however, became the driving passion for Dr. Jacobs as the field of Allergy/Immunology became scientifically-based. Clinical studies on chronic nasal disease, drug interactions, adverse responses to immunizations, and insect sting reactions were carried out during the tenure at Wilford Hall Medical Center. For most of his professional life, Dr. Jacobs has been involved with a group of diseases that are the most frustrating within the field of pulmonary medicine, the idiopathic interstitial lung diseases. By investigating the environments of these patients, Dr. Jacobs has shown that most of these difficult problems are caused by exposure to organic dusts within closed spaces, usually the home. This publication has been selected by the pulmonary journal, Chest, as the second most important work on interstitial lung disease in the recent past. Dr. Jacobs has several publications concerning these problems. He has been honored with a lifetime achievement award for his work with patients with these disorders by the San Antonio Business Journal in collaboration with University Health System, University of the Incarnate Word, and others. Dr. Jacobs is the managing partner of a busy clinical practice of allergy and asthma management with thousands of patients. He, along with his wife and children, established Biogenics Research Institute for the study of allergic, immunologic, and chronic respiratory tract diseases. This institute is considered one of the top 4 research sites for clinical drug trials in respiratory tract diseases in the United States. Dr. Jacobs continues to work very hard to maintain an excellence in the field of allergy, asthma, and clinical immunology in the clinical and research settings. He expects similar efforts from those around him. He was assigned as Chief of Allergy-Immunology at Brooke Army Medical Center (BAMC) in 1979. While at BAMC, he became interested in mountain cedar allergy, since it affects many in South Texas, even people without any other allergy. Dr. Ramirez is a partner in a large, busy allergy/immunology practice in San Antonio and has been involved in many clinical research projects in allergy, asthma, other respiratory and skin diseases. They have offices in the Medical Center and in Lincoln Heights in San Antonio. Dr. Ramirez's interests out of medicine include computer programming, woodworking, digital photography and music. He is a very proud "Aggie Dad" of two Texas A&M graduates. His oldest son is also an allergist/immunologist and has joined his dad's private practice. His daughter is a lawyer. 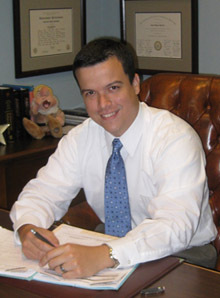 Robert Ramirez went to medical school at the University of Puerto Rico School of Medicine, where he graduated with honors in 2003. From there he went on to train in Internal Medicine at the University of Texas Health Science Center in San Antonio. His clinical and interpersonal skills were recognized by the medical school by awarding him one of three Best Resident awards in 2005. Despite the time constraints and challenges imposed by his residency training, he was able to perform basic science research in immunology. His work on chemokines and multiple sclerosis was presented at a South Texas American College of Physicians meeting. Subsequently, his passion for respiratory and immunological diseases took him to the University of Texas Medical Branch in Galveston, Texas, to seek training in Allergy & Immunology. While there, he had the opportunity to hone his clinical skills, while staying heavily involved in asthma research. He formed part of clinical studies organized by the NIH's Asthma Clinical Research Network. His basic science work on glucocorticoid receptor function was presented at the American Thoracic Society and the American College of Allergy, Asthma and Immunology national meetings. Since completing his training and obtaining his board certification in Allergy & Immunology in 2009, he has aimed to balance an active clinical practice and a stimulating research career. He joined Biogenics Research Institute in 2012 with this goal in mind. Dr. Ramirez also enjoys many hobbies including golfing, playing the guitar and drums, and running. He and his wife, Carmen, are the parents of two daughters. Frank serves as the Clinical Research Manager and senior Study Coordinator for Biogenics Research Institute. 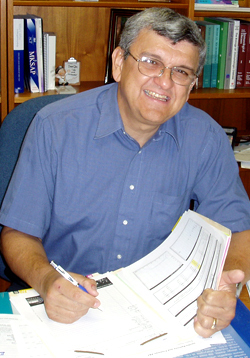 He and Dr. Jacobs originally founded the company in 1993. Prior to that time, Frank had been involved in other human research activities. After graduating from the University of Texas Health Science Center in San Antonio, Frank worked in aerospace physiology research at Brooks Air Force Base, conducting military-contracted studies involving decompression sickness, G-tolerance, thermal stress, and wound healing in Air Force pilot candidates. In 1988, Frank moved to Houston to work as a research contractor for NASA at Johnson Space Center. His position as a Flight Experiment Scientist allowed him to develop and implement research protocols for Shuttle-based Spacelab missions as well as provide training and collect data on Shuttle astronauts during spaceflight. Frank returned to San Antonio in late 1992 to work with his father and sister in establishing Biogenics. 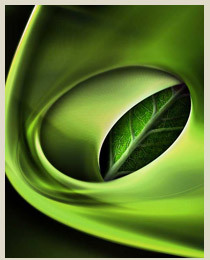 He received and has maintained his certification as a clinical research coordinator since 1997. Frank has two sons attending college. Nicole earned a Bachelor of Arts degree from Texas A&M University in 1992 majoring in Speech Communications. She has been involved as a clinical research coordinator for the past 12 years starting as an assistant working at Biogenics, participating in the very first study with Biogenics in 1993. She came on board full-time as a research coordinator in 1995. After two years as a full-time coordinator, Nicole attended nursing school to have more of a medical-oriented background. She graduated in 2000 with a Bachelor of Science in Nursing degree from The University of Texas Health Science Center. Nicole became certified as a clinical research coordinator in 1998. She has used her marketing skills to promote our research facility broadening the base of companies that rely upon Biogenics to deliver study results at the highest level. Nicole and her husband Andy have been married since 2003 and have a great time with their two sons and two dogs. Who do you know who can say and spell ‘Immunobionomics’ without blinking an eye? Not only can Cindy Rather, our clinical research coordinator, do this because she brings to Biogenics sixteen years experience in Laboratory Management at Immunobionomics but she also brings her extensive knowledge of laboratory medicine in the fields of Allergy and Immunology. 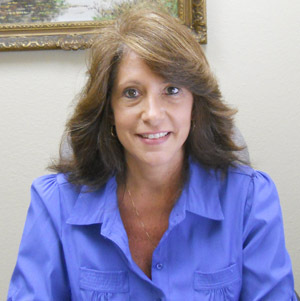 Cindy started working with Dr. Jacobs in 1991 as a sales representative for his new clinical allergy and immunology reference laboratory – Immunobionomics. Under Cindy’s guidance and management, Immunobionomics became a regionally and later, nationally recognized specialty reference laboratory while maintaining the values of quality laboratory testing, excellent customer service and College of American Pathologists standards that made Immunobionomics the special laboratory it was. 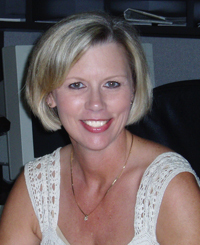 In addition to being Laboratory Manager, Cindy was responsible for marketing and sales, Information Technology and industry and federal accreditation of the facility. Prior to managing Immunobionomics, Cindy’s education in Radio, TV/Film led her to work at KENS TV as a weekend intern reporter for about a year. After deciding that broadcasting was not where her heart lie, she returned to the field of medicine and has remained there ever since. With the closing of Immunobionomics in 2007, Cindy joined Biogenics and fell in love with research. Cindy and her husband Dan enjoy living in a historic home in Comfort that they have restored. These 3 lovely medical assistants joined Biogenics Research Institute in our laboratory in 2014. They make the study patients feel at ease and are all excellent phlebotomists! Kathy earned her degree in Clinical Research in 2010. She did an internship at UT Health Science Center, which eventually lead into a job working as a Clinical Research Coordinator in Pulmonary Research at University Hospital and the VA Hospital. She has been involved in studies working with Diabetes, Hypertension, Infectious Disease and Infection Control, COPD, Asthma and Allergies. Kathy has worked part time as a contract employee for Biogenics in the past and recently joined our team in 2012 as a full-time employee. She became a certified clinical research coordinator in 2013. Kathy is married and has 3 children. During her spare time she enjoys spending it with her family out at the lake, doing outdoor activities, reading, and scrapbooking.